That’s right! Get FREE Designer Series Paper for SIX MONTHS when you become a Stampin’ Up! demonstrator during October or November. 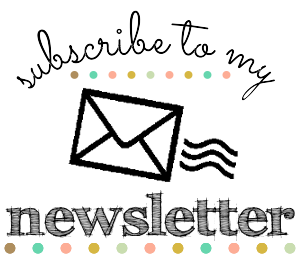 A free subscription to Stampin’ Up!’s demonstrator magazine! Access to a thriving online community of stampers and paper crafters from around the world! An open invitation to fabulous Stampin’ Up! events! And if that wasn't good enough, the new customisable starter kit will only cost you £99 with free P&P. Included in the kit will be £130 worth of product that you get to chose yourself, and also a business starter kit worth £45 which includes catalogues, order forms and everything you need to get you started as a Demonstrator! For more information please go to the 'Join My Team' at the top of the page. These are good conditions for progress. I think of such a service. But now writing an analysis paper the priority. Cuz, in college exams and I, didn`t have time to do much. In addition, a demonstrator I've said for this by my friend. And perhaps the time will be on my side. Thank you for your so detailed explanations! I want to ask you, guys, if you heard something about this service Edubirdie.com? I found it today and it seems to me it's good writing service, but I don't actually sure. Maybe you know something. Excellent advice, I read a lot of similar articles but they were not as informative as yours, I can safely recommend it to my friends who are interested in this topic. I also wanted to cover this topic in my blog and probably use academic consultants com for that. Thanks a lot! Thanks for sharing . Gift delivery in Pakistan.